Last year I received a question from someone curious about real estate agent commissions in San Diego. They were partly asking what typical commissions are, and partly expressing disappointment in what they agreed to pay an agent who they felt wasn’t doing much to market their home. Commissions are also a topic that regularly come up when I meet with clients who are potentially listing their homes. Even experienced home buyers and sellers often have misconceptions about real estate agent commissions. If you are potentially selling a property, it is vital to have a good understanding of how commissions are usually structured. Understanding commissions can be useful for buyers as well. While some of the information is specific to San Diego, much of the information in this article is relevant throughout the US. 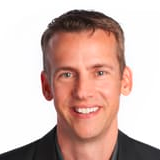 I will answer the questions about what “typical” real estate agent commissions are, some common misconceptions about commissions, and why you paradoxically can sometimes net MORE on a sale by paying a HIGHER commission. The first thing to note about real estate agent commissions is that they are negotiable. In other words, there is no set commission rate. With that said, “typical” residential listings here in San Diego are often between 5% to 6%. There are exceptions to this, and unusual properties or land-only listings can often have higher commission percentages. On the other hand, discount brokers will sometimes charge less than a 5% overall commission. Assuming two brokers are involved, the overall commission is divided, with one portion allocated to the listing side and the other portion allocated toward the side representing the buyer. While that allocation is often a 50/50% split, it is not required to be. Sometimes a listing agent will charge more than 50% of the overall commission to help offset extra costs they might incur for staging a property, exceptional marketing / advertising expenses, etc. If the listing agent also winds up representing the buyer (legal in California if certain requirements are met, but not necessarily legal in other states), then the full commission sometimes goes to the same agent for representing both parties. This is referred to as dual agency. The majority of listings in San Diego currently allocate 2.5% for the buy side (the side representing the buyer). A tiny percentage offer the buy side less than 2.5%. I won’t comment on the ethics of it, but this approach can disincentivize other agents from showing the property to their clients. By the same token, sellers that offer the buy side 2.75% or 3% sometimes generate more and/or higher offers because they have made the property stand out to other agents that can bring in buyers. The majority of homes are sold with another agent representing the buyer, so giving extra incentive / commission on the buy side sometimes can net you more in the sale. That can be especially true for a property that might have something working against it (price, location, “unusual features” or condition). It’s easy to think of real estate commissions as a zero-sum game: if you pay more in commissions, you net less in the sale. What this mindset fails to take into account are some of the very real and tangible benefits to having a great agent who knows their own value and does not discount it. Your commission “savings” can quickly be negated when a discount brokerage / agent fails to go to bat for you in negotiations. The same is true if mistakes are made or shortcuts are taken by an agent, exposing you to greater liability during or after the sale. Most real estate lawsuits happen well after the sale, so unfortunately just closing the deal does not really offer protection from the risk of lawsuits. Laws, disclosures, etc. are dynamic and you want a brokerage and agent that puts forth the effort to stay informed. In real estate, as-in many other things we spend money on, “cheapest” and “best” rarely go together. I would suggest that if there is ever a time you want a true professional in your corner that expertly looks out for your interests, a real estate transaction is just such a time. Sellers that might never shop for the cheapest clothes, cheapest food, or cheapest car will still sometimes be lured by the notion that hiring a discount broker to represent them will save them thousands. There are also many agents willing to negotiate their commissions, even those working at non-discount brokerages. Those same agents are probably the least likely to be skilled in negotiations on your behalf. If they readily give away their own pay, do you really expect them to look out for your money with more skill and fortitude? Looking at real estate agent commissions from just a percentage standpoint doesn’t give you a clear picture, because it doesn’t actually take into account what an agent can do to increase what you NET on a property. I have zero doubt that paying 3% to a great agent with excellent marketing and a serious commitment to your financial position can NET you more in a listing than an agent that charges 2% or less and does absolutely nothing to market your property and negotiate for you. I have had several recent listings where my negotiating strategy and approach likely saved each client five figures. That kind of circumstance is not at all unusual. Real estate is no different than most other places in life, you often get what you pay for. However, in real estate, the stakes are much, much higher than just about anywhere else we spend or invest money. Paying a higher commission doesn’t guarantee excellent representation, however I believe you are more likely to find good representation with a full service brokerage rather than a discount broker / agent. 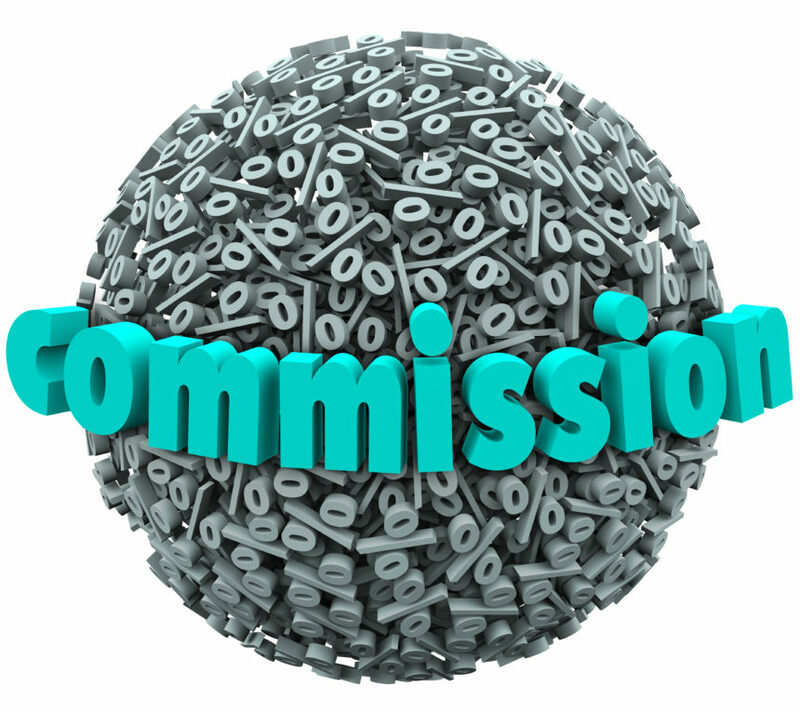 Where Do Real Estate Agent Commissions Go? Sellers will sometimes look at a 5% or 6% commission, do some quick math, and then imagine that dollar amount dropping into the pocket of their listing agent when the deal closes. In reality, most sales result in half going to one brokerage and half to another. So in a hypothetical 6% overall commission, half (3%) might go to the listing brokerage and half (3%) to the brokerage representing the buyer. Notice I said “brokerage” rather than “agent.” While there are some sole proprietors that are their own brokers, most agents are affiliated with a brokerage that they share their commission with. The percentage breakdown between the brokerage and the agent is known as the “split.” Some top-producing agents might have splits as high as 90%, while most agents are likely getting somewhere between 70% to 90%. Even after the agent gets their split, they still incur other costs, some of which I detail below. Desk / Office Fees – Some brokerages that offer their agents high commission splits charge agents for a variety of services including having a desk or office, supplies, etc. Taxes – After all is said and done, Uncle Sam is also paid! As with listings, agents representing buyers utilize advertising and marketing to find their buyer clients. Many agents pay for online and print advertising to help do so. Depending on the agent, they might have a budget of hundreds, thousands or even tens of thousands of dollars per month. 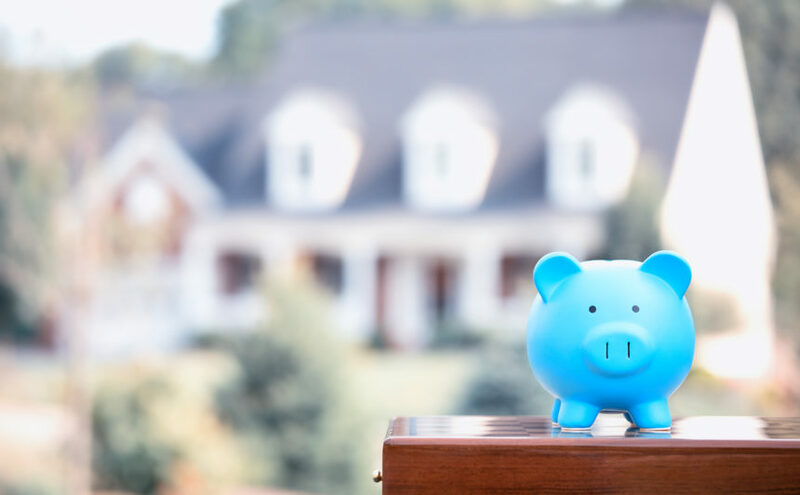 While hard costs associated with a specific transaction are typically higher and more involved for listing agents, most of the “cost” for agents representing buyers is incurred in terms of the time an agent invests in a client. More on that below. – Agents are essentially on-call to their clients. Many will drop everything to accommodate showings for or with their clients. The burden of this is something clients rarely see and many don’t appreciate. 7 day work weeks are not uncommon among agents. – Door to Door is not dead. When I take a listing, I promote the property to neighbors by personally delivering flyers to them. Neighbors sometimes know a friend or family member that might want to buy in the area. – Savvy agents will invest time in social media content to promote the property. This might range from photos to video production. Good agents will leverage social tools to help market your home to a broader audience. – Hosted events. For every listing I take, I make sure my broker open house (when local agents preview the property) is well attended by ordering treats and/or catering. I know the more agents I can get through the home, the better chance one of them will bring in a great buyer for my clients. – When working with buyers, an agent might invest literally years into a relationship before a transaction actually occurs. And when working with buyers or sellers, an agent is not guaranteed to be compensated (eg. A home might not sell which results in the agent taking a loss. Or, a buyer might change their mind, move, or fail to find a home to their standards or in their budget). Sometimes agents luck out and a deal materializes in days or weeks. Other times an agent might spend years working with a client before they see a payoff. – Agents are at the center of what can be highly contentious, high stakes, high stress transactions with many moving parts. A good agent acts as a buffer between the two sides of the transaction. Being in that position can be extremely challenging for even the most calm agents. Many people vastly underestimate what’s involved in representing someone in a real estate transaction. The potential for costly pitfalls and liabilities can be drastically reduced by a highly competent agent. For whatever time clients might guess their agent is spending before and during their transaction, a professional agent can be spending 10x-50x that amount of time behind the scenes. Although many properties sell briskly in a hot market, agents make a major commitment to clients. When a competent agent takes a listing, they are offering their client a sizable chunk of their time, money and energy to get the client’s property sold. It might happen in 2 weeks, 2 months, or 6 months (or not at all on some properties). Higher end luxury homes can take multiple years to sell. During the listing period, the agent will essentially be on call for the mission of making that sale. They will probably trade time with their family and friends for time advocating for the interests of their clients, and it is tricky to put a price on that seemingly 24/7 availability. Another thing people don’t consider is that most agents don’t sell a house weekly. In fact, the average agent in San Diego sells less than two houses PER YEAR! Even established agents sometimes go for months without a paycheck (but are still paying for dues, fees, marketing, etc). Real estate is a very challenging business endeavor, and anyone that says otherwise probably has not worked in the business. When factoring in time, energy and marketing / operating budget, I describe real estate commission checks as the smallest biggest checks around! With all that said, I find real estate not only very challenging, but incredibly rewarding. Whether it’s helping sellers successfully sell a property and changing their financial outlook, or representing buyers on what might be their place to call home for decades, I know the work I do has a profound impact in my clients’ lives. Although the ingredients for deals are often similar, every transaction is unique – each an opportunity to expand my knowledge and to smoothly navigate any obstacles for my clients. If you are considering buying or selling a home in San Diego, please contact me for a no cost / no obligation consultation! If you are outside San Diego, I also refer clients to highly-rated agents worldwide.